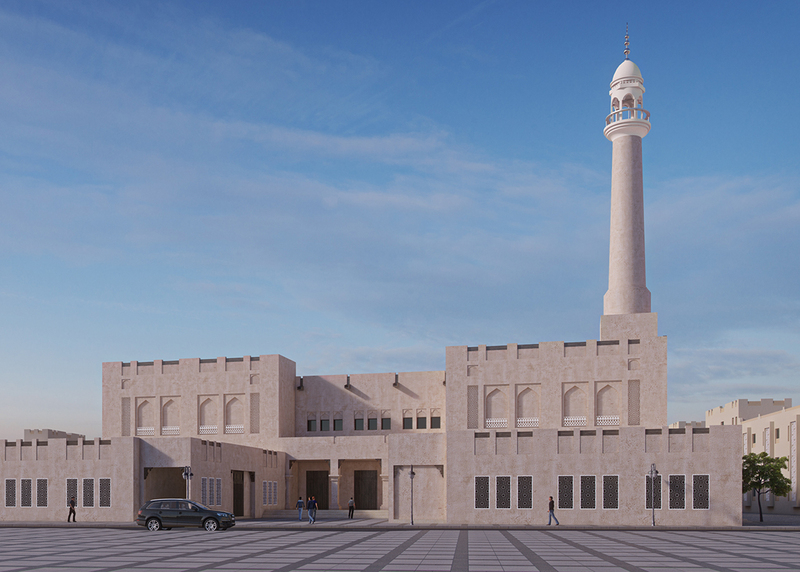 The mosque has been designed both spatially and aesthetically based on the Qatari style typology of court style mosque. 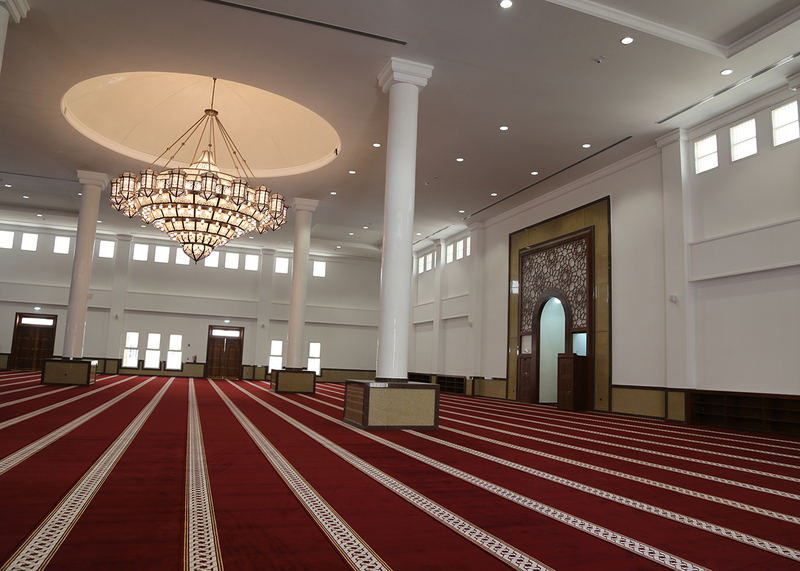 The mosque packs an enormous program due to its strategic location and due to site constraints the program spreads to mezzanine level as well as first floor. 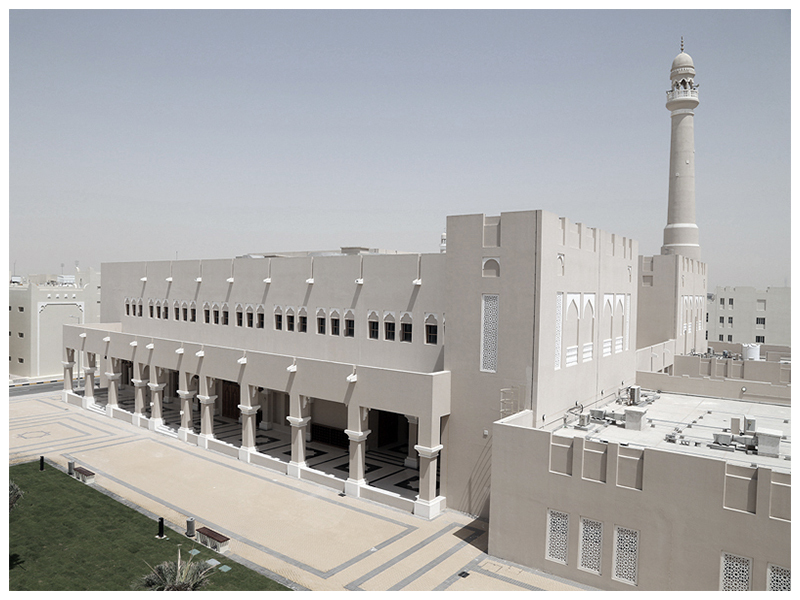 The mosque offers space for 6300 worshippers at maximum capacity for Friday prayers. The full-time on site accommodated staff are at hand to offer full range of spiritual as well as educational services to the residents. 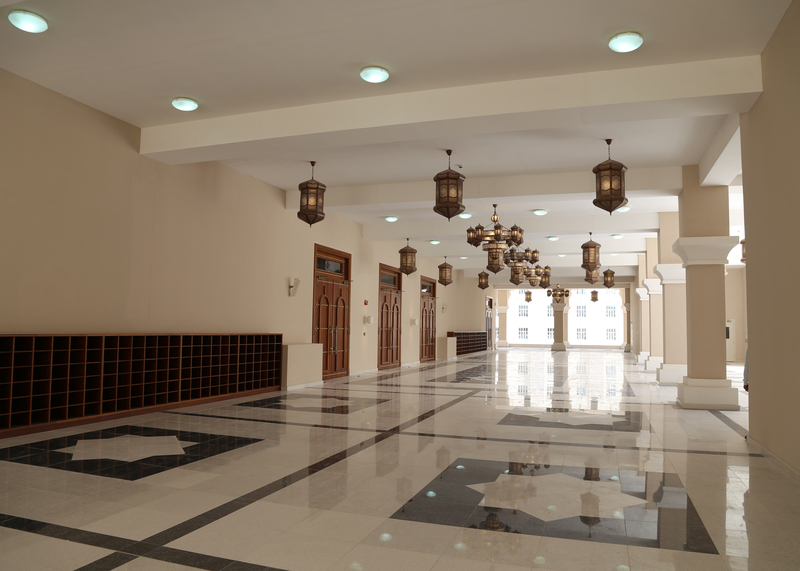 A full functional Da’wa Centre offering educational programs in both cultural and religious realms is spread over two floors.